I live in Akihabara. (take 2-4 weeks). (take 4-8 weeks). Set contents (take 1-2 weeks). ・ Target age: 15 years old and above. K-on! 1/8 Akiyama Mio Gakuen Festival Ver. Neca: Solar Power Body Knockers - DC Comics - Batman. It's The Solar Power Body Knockers - DC Comics - Batman. Body Knockers rock from side to side when exposed to light, they never need batteries! They stand 6?. Than Sculptor Masaki Asai - Max Factory "Fate / stay night", "Saber" is appearing out of uniform in daily part! ● distorting the proportions by using a soft material in the key point, ensuring the range of motion. 2016 SDCC Arkham Knight Harley Quinn PX Statue Paperweight. You just can’t keep a good villain down…but a good villain can keep your papers down, and so Icon Heroes is proud to announce the SDCC Exclusive Batman: Arkham Knight Harley Quinn statue paperweight! Jeanne d'Arc where the glamorous bikini matches! ・ Height: approx 21 cm. ・ Target age: 15 years old and over. You may also like. May take up to. 6-8 weeks due to strict Custom Inspection May take up to 6-8 weeks due to strict Custom Inspection. I will try my best to reply you asap once I am online. Model number All product manuals are in Japanese. We could NOT take any liabilities nor responsibilities for injury, sickness, and all the other inconveniences caused through usage of products. • Box condition is sold as is. However, if you want the extra service, we will provide it. PR, HI, AK, APO/FPO and US Territories may incur a higher rate. • We will hand select the best box condition out of our inventories. To sunburn traces of the swimsuit, we have provided a silicon-made swimsuit of the new design! [ Other Carrier ]. [ Li-ion Battery ]. [ Warranty ]. We do our best for you!! Standard --- EMS. [ Multiple sizes and colors ]. This item is very clean and has been examined thoroughly. 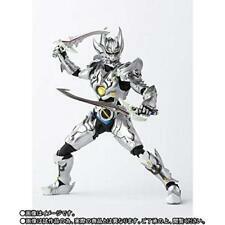 Includes: Complete figure with removable sword, shield and horse (figure can be unmounted). Size: 3.5" tall figure and 5" tall horse. Condition: Has a few very minor paint imperfections; overall great. 100% guaranteed to be received as listed. "He s the hero Gotham deserves, but not the one we need right now. He s a silent guardian, a watchful protector. A Dark Knight.". Batman lives again as Kidrobot and DC team up to present the 5 Dark Knight Batman Dunny. Funny Knights 1/8 Fate/ Extella Saber /Altria Pendragon Resort Vacanes Ver. • We will hand select the best box condition out of our inventories. However, if you want the extra service, we will provide it. • Box condition is sold as is. Gross Weight: About 30 kgs. ● PVC made head thoroughly reproduced the image of comics! - Large sword that exceeds the length "Dragon Rolling" attached! Full powerful battle scene can also be reproduced perfectly ● Reproduce the cannon mounted on the left hand's artificial arm! Best Buy Exclusive Batman Statuette approx 3" tall DC Direct. The statute is however in perfect original condition. | Height: about 23cm | (C) TYPE-MOON (C) 2016 Marvelous Inc. |Age [ Release Date(yyyy/mm/dd) ]. the manufacturer will change contents, date and quantity for sale. [ Country of Manufacture ]. Japan Usage Item. Long and supple hair, noble body line, dress coloring supple is also an elegant, full of charm of Semiramis. The king is basically terrible. I must be violent. Even if you think to yourself, "But the item I want is only available in Japan.". In addition, new modeled effect parts are included. Label: Bandai. As a proof of that, Toei 's Golden Sticker is put on the product. We would like to have people around the world use this wonderful product for sale. 1/8 scale ATBC-PVC. | Height: about 20cm | (C) TYPE-MOON (C) 2016 Marvelous Inc. |Age the manufacturer will change contents, date and quantity for sale. [ Note : Pre-Order (P/O) ]. [ Country of Manufacture ]. 1/8 Scale Painted PVC f. : About 21cm | (c) TYPE-MOON (c) 2016 Marvelous Inc. |Age the manufacturer will change contents, date and quantity for sale. [ Note : Pre-Order (P/O) ]. [ Country of Manufacture ]. Release Date: 2015. Weight: 172 g. Item condition: New. It takes3-5 weeks to arrives. It takes2-3 weeks to arrives. Manuals and instructions are basically Japanese only. Finally start a dragon sitting in SHFiguarts! Pursue the ultimate in style and the movable. The mask is reproduced in clear plastic produce a difference in the texture. Using the die-cast feet (shoes), achieve a sense of weight and stability. 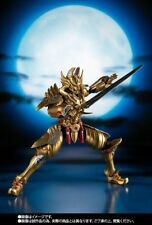 New S.H.Figuarts Golden Knight Gallo Rikou Ver. the manufacturer will change contents, date and quantity for sale. [ Other Carrier ]. [ Country of Manufacture ]. [ Multiple sizes and colors ]. Initial failure warranty. length(cm)18. Also we are not be able to responsible for early failure. We are Japanese. Your kind understanding would be highly appreciated. We would like to prevent it before it's happened as much as we can. Weight(about) Model number We could NOT take any liabilities nor responsibilities for injury, sickness, and all the other inconveniences caused through usage of products. All product manuals are in Japanese. In order for you to use this device outside Japan. [ Release Date(yyyy/mm/dd) ] 2014-05-31. the manufacturer will change contents, date and quantity for sale. [ Allergy ]. [ Multiple sizes and colors ]. S.H.Figuarts Golden Knight Garo RAIKOU Ver. Bandai Shfiguarts Golden Knight Garo Raijo Ver.